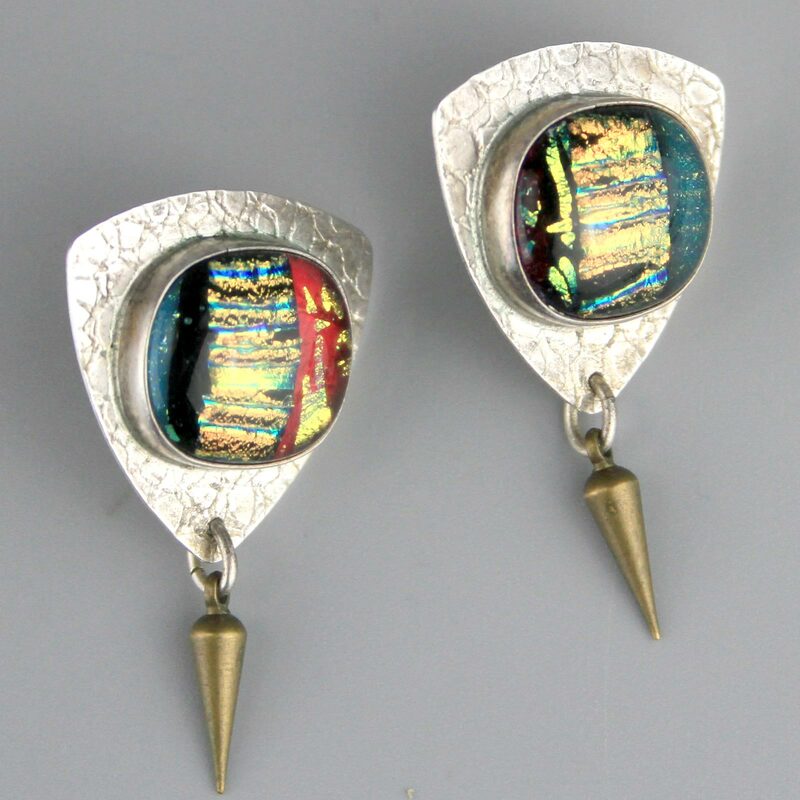 Sterling silver, handmade circa 1980s dichroic glass earrings. 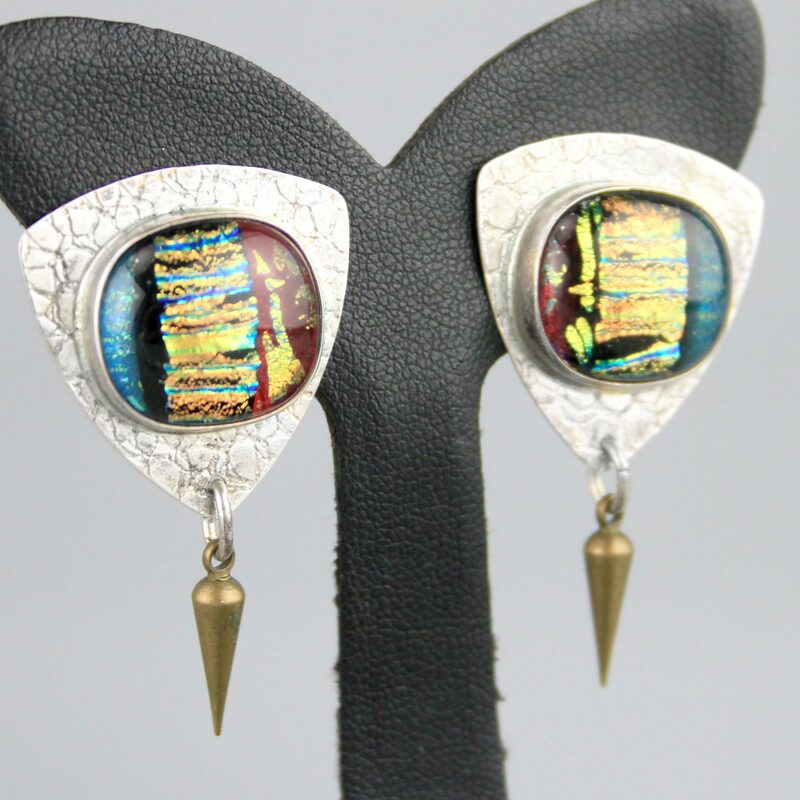 Fantastic colours, great 3d depth - nice quality 80s earrings. 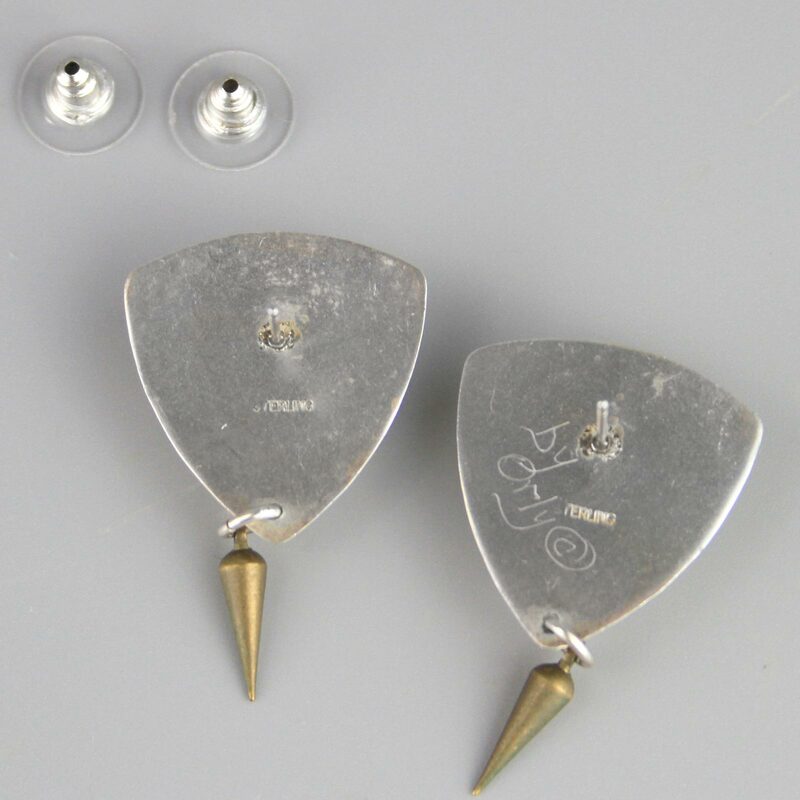 Fantastic avant grade earrings, etched silver top with mixed metal brass dangle.